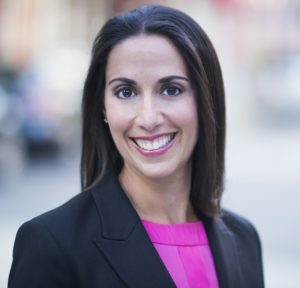 Alyssa Gelbard is the Founder and President of Point Road Group, a global personal branding and consulting firm that helps executives market themselves to achieve their professional goals and partners with organizations for customized corporate programs. In addition to overseeing Point Road Group’s business strategy and operations, Alyssa works with a portfolio of individual and corporate clients. An engaging speaker on personal branding and careers, she delivers presentations and workshops to Fortune 500 companies, start-ups, established businesses, professional associations, nonprofits and universities. Alyssa’s unique perspective on personal branding, corporate branding and career advancement stems from a background in strategic marketing, branding and communications, where she held leadership roles and built strong teams at organizations across several industries. Her entrepreneurial career began when she founded Resume Strategists, Point Road Group’s initial brand, almost 15 years ago. Alyssa serves on the Board of Financial Executives International NY Chapter as Career Management Chair and the Advisory Board of the Graduate Sports Management Program at Endicott College. She is an instructor at the renowned 92nd Street Y in NY and an elected member of the Tufts University Alumni Council, co-chairing the Career Services Committee. Alyssa also co-chairs the Tufts Women’s Network NY. Her expertise and perspectives on personal branding and careers have been featured in The Wall Street Journal, Fast Company, Inc., Huffington Post, Forbes, Business Insider, CIO, The Street and eFinancial Careers, among other domestic and international media. Alyssa has an MBA in Marketing from NYU Stern School of Business and a BA in Sociology from Tufts University.